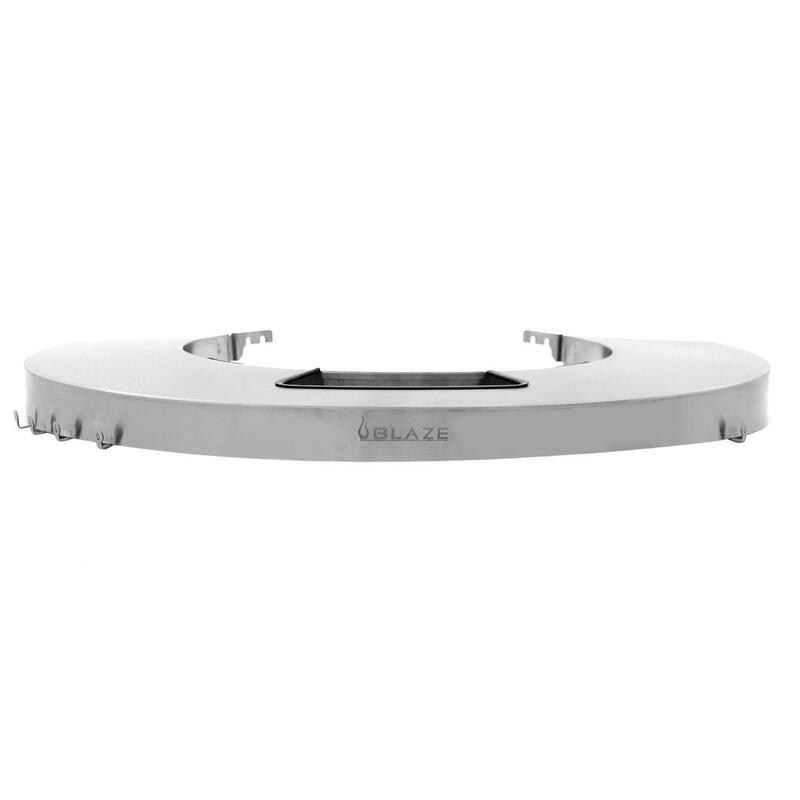 Product Description: Blaze Kamado Stainless Steel Round Shelf - BLZ-KMDO-RD-SH. Upgrade your Blaze Kamado with this sleek round stainless steel shelf. 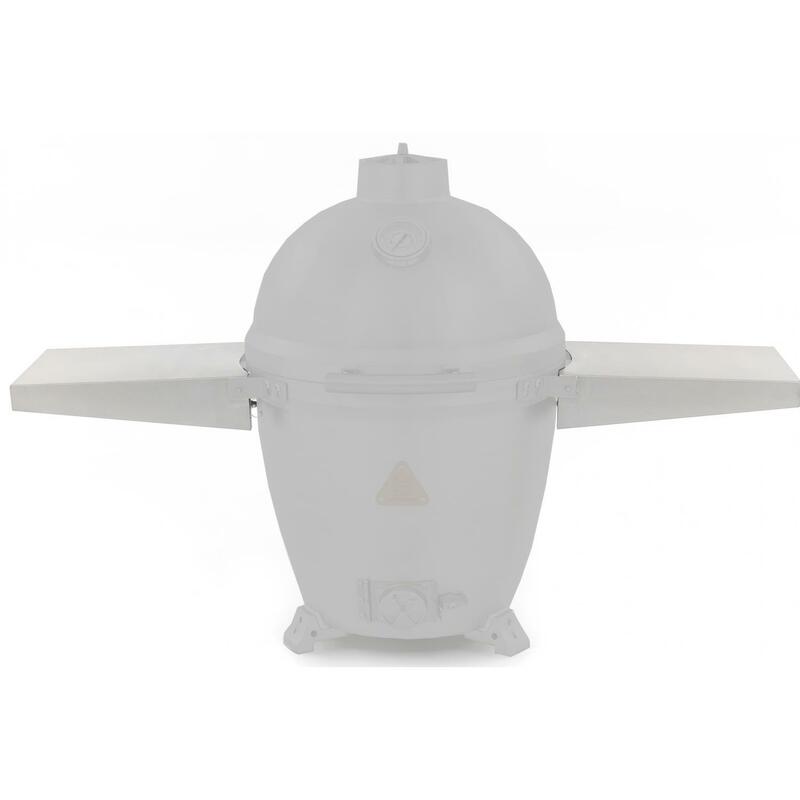 The 304 grade stainless steel construction ensures long-lasting durability for years of outdoor use. The round design adds a convenient work surface for grilling tools or plating food, but keeps the grill from taking up too much space on your patio or deck. The shelf includes five tool hooks to keep your grilling tools handy and has a cut-away to access the lid handle with ease.